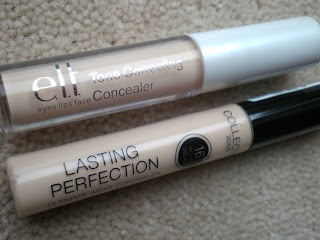 This is probably the most popular concealer featured on blogs and once you've tried it you can see why. It has a fairly thick consistency and covers blemishes and dark circles perfectly; I rely on it to make me look more awake! I buy it in the lightest shade which works well with my skintone and I found that one tube lasted me quite a few months. For £3.99 I can't recommend this enough and I know it's going to become one of the most repurchased products in my makeup bag. 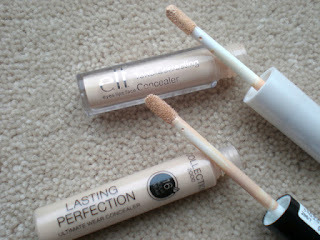 This concealer isnt as high coverage as the Collection 2000 one and doesnt really do the job as well. The consistency is similar although I found it a bit more like a tinted moisturiser in comparison to the Collection 2000 which is more foundation like. 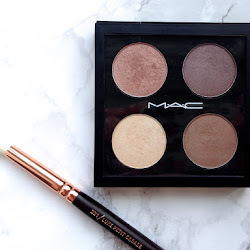 I bought it in the lightest shade which was fine for me and blended in well with my skin tone. I really like the scent of this product as it smells peachy which is nice. I think for £1.50 you get what you pay for and I won't be repurchasing this product as it isn't as good as the Collection 2000 one.